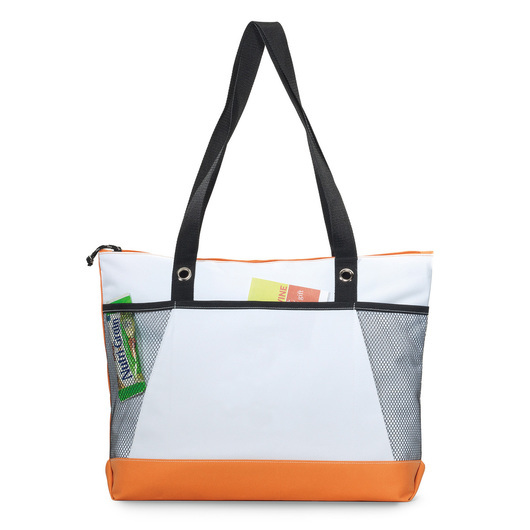 Tote your brand in style! Durable, value-for-money zippered tote perfect for outdoors, conventions, business meetings or anywhere you require a flexible, snazzy carrier. Tote bags are an essential need for your everyday life. 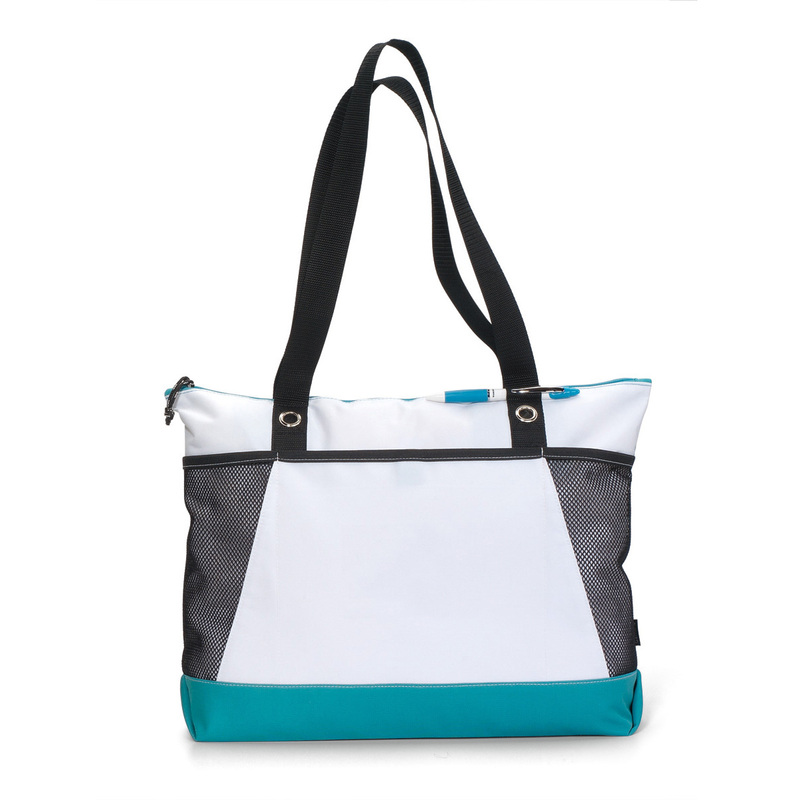 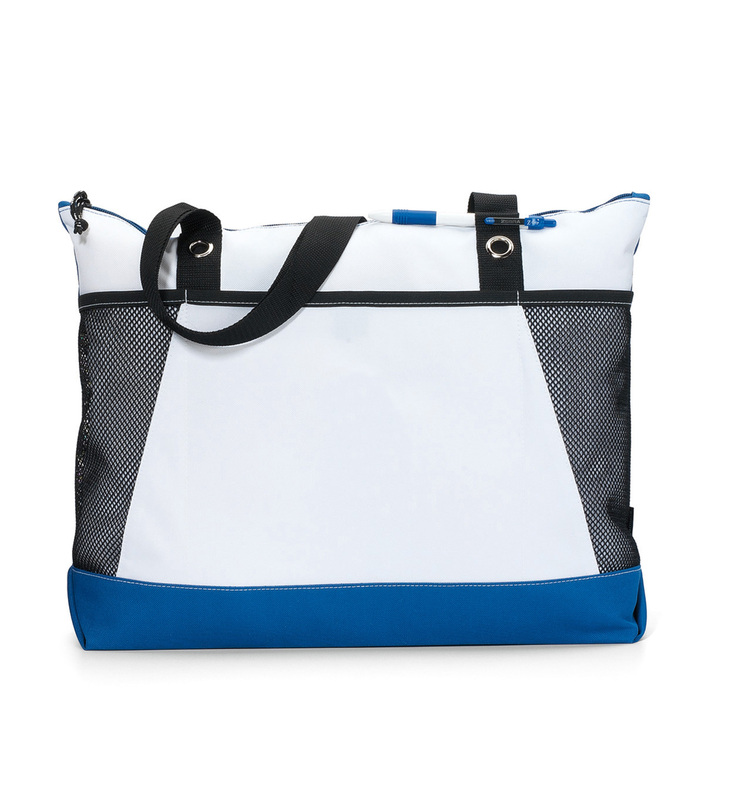 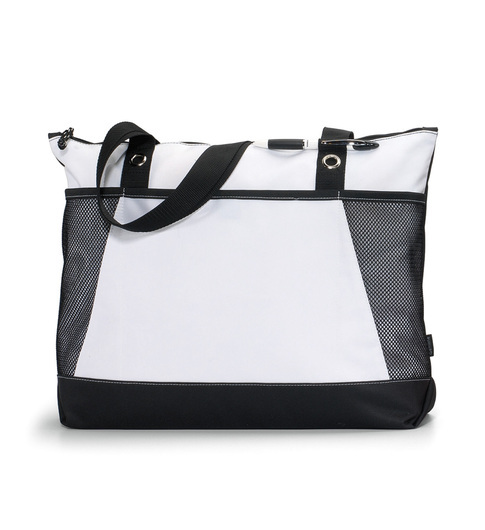 These leisure tote bags are great for everyday use. 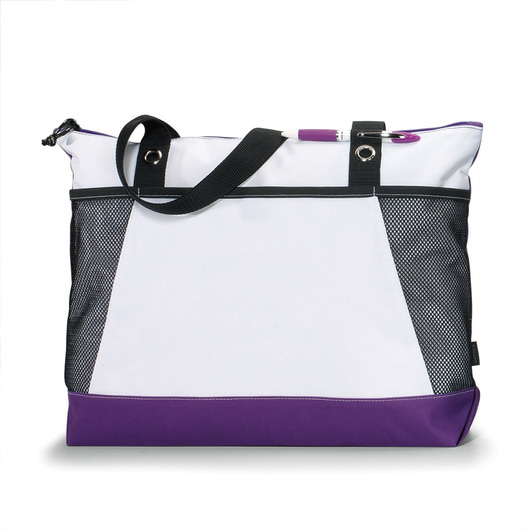 They are perfect tote bags for shopping, school, work, and everything in between. 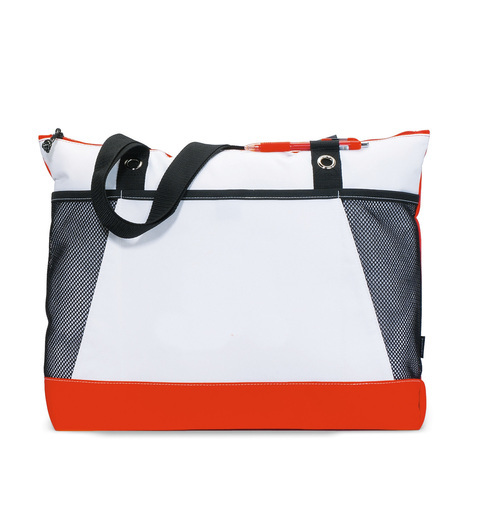 Made of durable 600D polyester fabric, giving it a carrying capacity of 20 litres. It also features a zippered main compartment provides ample storage, front pocket with Velcro closure, pen loop (pen not included), mesh pockets for water bottles (water bottle not included) and other easy to reach items, grommet details, back panel of each bag matches primary bag color, and 724mm shoulder straps. Ideal for any vacation, or a weekend getaway. 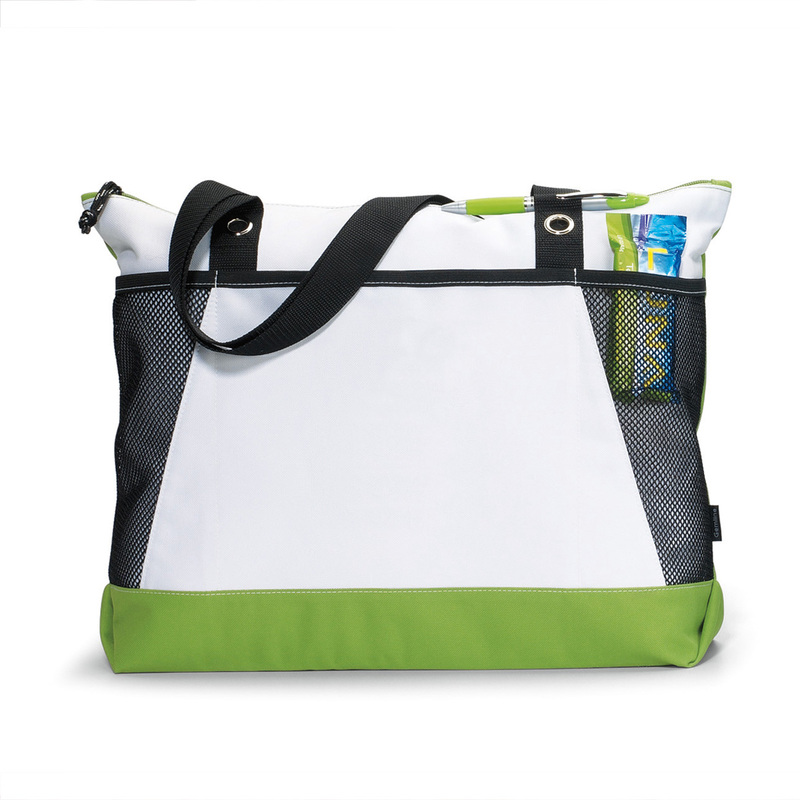 Convenient, durable, & easy to carry. Has enough room for anything else you need.